The Pacific Northwest is home to many magnificent natural features that attract millions of tourists from across the world each year. Along with a trip to Pike Place Market and the Space Needle, you should also look for something extravagant. So while on your next vacation trip to Seattle, get out of your comfort zone and hop on a private boat charter in Seattle to experience some of the signature elements that make the Pacific Northwest what it is. Consider the below enlisted outdoor adventures for your next vacation in and around Seattle and the Pacific Northwest. 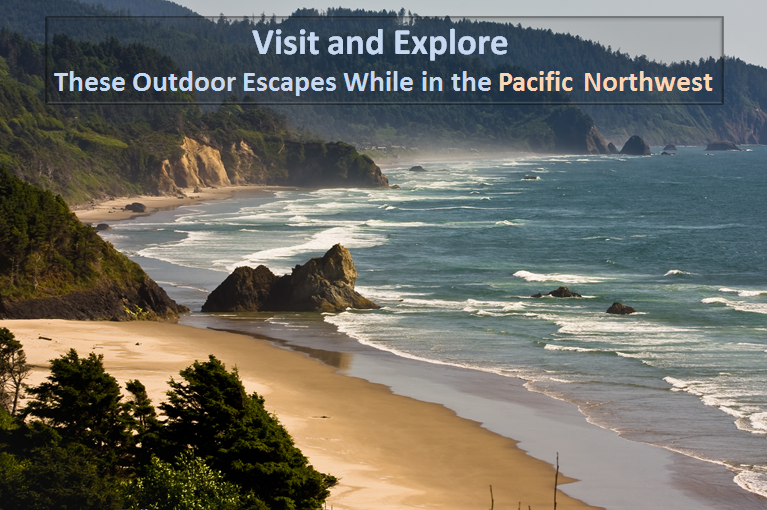 The Oregon Coast – A drive along Oregon's coast is a must-do activity any time of the year. Rocky headlands that loom high above the ocean offers mesmerizing vistas while craggy rocks lie scattered along the shoreline like oceanic sentinels. The Coast Range is deeply etched by great rivers and patched with forests offering outdoor enthusiasts excellent boating, fishing and hiking opportunities. The Oregon Dunes – the largest coastal dunes in the world is the place where gray whales migrate from Alaska to Mexico and back. You could spend a weekend walking or driving along and camping on the beautiful sandy beaches of Oregon. Mount Rainier – Ascending to 14,410 feet above sea level, Mount Rainier is the highest peak in the Cascade Mountain Range. The renowned icon in the Washington landscape is rarely visible from viewpoints in Seattle due to fog and cloud cover. To enjoy some incredible views, venture out of the city to climb the summit. Hiking during the day is free, but if you plan to spend the night in the park you’ll need a permit. An active volcano, Mount Rainier is the most glaciated peak in the United States, spawning six major rivers. The icy volcano is surrounded by subalpine wildflower meadows while ancient forest cloaks Mount Rainier’s lower slopes. Snoqualmie Falls – Snoqualmie Falls – the 270-foot waterfall – is one of Washington State's most popular scenic attractions. Surrounded by a two-acre park, with an observation deck, gift shop, and the Salish Lodge, this is by far the most famous waterfall in Washington. More than thousands of visitors flock here each year to learn about the extravagant flora and fauna found here. During high water, the falls take on a curtain form. Snoqualmie Falls is also a nesting ground for peregrine falcons, so keep your eyes open for them. It is considered to be humanity’s place of origin, and the crushing waters is a major source of naturally generated hydro-electric power for the region. Kayaking in Vancouver BC – Hop on a boat rental in Seattle and set sail on the azure blue waters to make your way to Vancouver. While in Vancouver B.C., carve out half a day for sea kayaking to take in the spectacular views of all the natural surroundings, cityscape views and the surrounding ports. Canoeing and kayaking in and near Vancouver provide a new perspective to witness the perfect blend of urban and natural beauty. No matter what your experience level is, you will surely have an unforgettable experience. While in Vancouver to try kayaking, you can also be part of stand up paddleboarding and surf skiing. Salmon Fishing in Puget Sound – If you choose a fishing expedition in Puget Sound, you will surely have a memorable time. Good fishing opportunities abound the saltwater fringes of Seattle Washington all throughout the year. Experience an active non-traditional approach to fishing off a boat charter in Seattle with light tackle. King Salmon and Coho Salmon are the most often targeted sports fish in Puget Sound. The professional crew of Pacific Northwest Yacht Charters can take you to those fishing spots where you will get plenty of opportunities for sightseeing, whale watching, and relaxation on the water. So plan a trip to all the above-mentioned places in and around the Pacific Northwest and Seattle during your next visit to the Pacific Northwest region. If you are looking for a more tranquil experience, book your boat rental in Seattle in advance to have a memorable and cherishing vacation or weekend experience.